Ever reached a point when you just want to give up on all these diet plans which barely even made a difference? Well, in Intermittent Fasting, you'll discover a completely new approach to weight loss. A proven approach that can provide dramatic changes not only to your weight but also to your overall health - something which you didn't have in any of those diet plans. 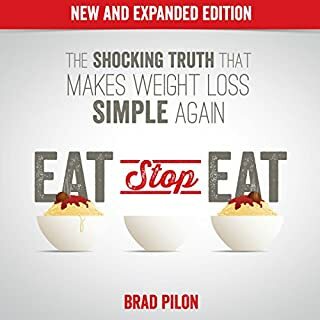 In this book, you'll learn about the fundamental concepts of intermittent fasting and find out why more and more people are switching to this new weight-loss technique. Want a simple and sustainable way to lose fat, build muscle, increase your energy, and feel like a new man? And do you want an approach that delivers the results at an accelerated rate and doesn't involve dieting? Well, let me introduce intermittent fasting - the most sustainable and easy to adopt fitness approach that will get you in the best shape of your life. The OMAD Diet to lose up to 10 pounds in a week. The OMAD Diet is not just a diet. It's a lifestyle. It's a movement. Within this audiobook, there are over 700 scientific studies as well as numerous testimonials. There is no one-size-fits-all diet, but you can learn from all the research and the success stories of others to design a habit of eating that is ideal for you and your lifestyle. 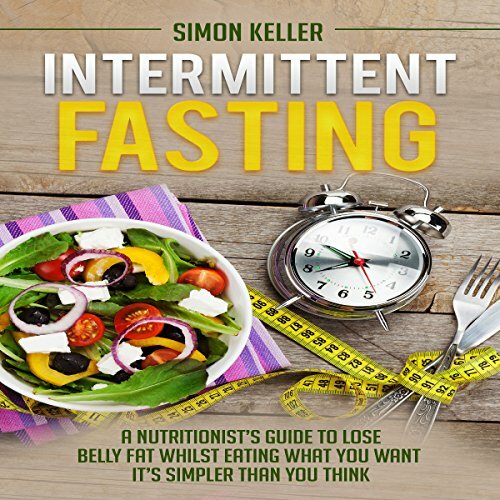 In 10 detailed, easy to understand lessons and a proven guide, this audiobook will guide you through the pitfalls of intermittent fasting and show you how to effectively and safely go on a fasting schedule for your health, body and mind. 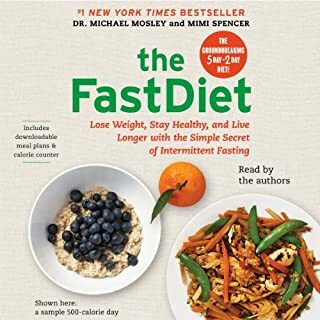 When done properly with the knowledge provided in this book, intermittent fasting can provide benefits many do not even know are possible. Do not be like the majority—get yourself a copy of Intermittent Fasting and change your life! Have you heard so much about intermittent fasting and you finally want to try it out? Look no further, this is the best guide you could ever use to ensure your success! 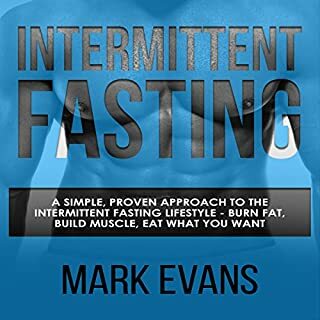 This master plan includes: understanding intermittent fasting; the types of intermittent fasting; common mistakes to avoid while doing this diet; and more. What is intermittent fasting? Intermittent fasting can be described as alternating intervals of feeding periods and not eating (fasting) periods. The length of time for each window will vary heavily depending on the protocol of fasting you adopt. Hard to listen to. Not very strong science. Fasting is not about hunger, and it is certainly not about starving. Fasting is about changing your life so that you can do more with less time. Fasting is about supercharging your body's regeneration systems and looking younger. It's about altering your mind and charting a course forward that results in the ability to convert your newfound discipline and clarity. You may look to fasting for the purpose of losing weight, but you are going to get a lot more. Intermittent fasting is a practice that has been used by humanity for countless generations for a wide variety of reasons including achieving enlightenment and fighting the causes of aging at the source. However, it has regained prominence in recent years for its ability to help people lose weight while at the same time absorbing more nutrients from their food than ever before. This occurs because when your body doesn't have to worry about processing insulin, it can turn its focus to making sure it runs as effectively as possible. Are you sick and tired of being sick and tired? Heard about intermittent fasting but when you ask someone about it they think you are crazy? I know! I've been there right along with you. I didn't believe until I saw it and experienced it myself: the weight loss, the boost in HGH, and the energy levels. Thousands of people are discovering how simply eating in a window during the day or skipping a meal can transform not only how you feel but how you function. Imagine there was an eating pattern that allowed you to lose incredibly fast and easy weight without counting calories, keep it off, and enjoy the benefits of a longer and healthier life. How would it be to discover this secret? Intermittent fasting is a phenomenon that is currently one of the world’s most popular health and fitness trends. It works by alternating cycles of fasting and eating, instead of eating all hours during the day. Imagine how different your life would be if you could lose fat, increase muscle mass, and cleanse your body all at the same time,just by changing "when" you eat. Can you really have your cake and eat it? Want to lose weight? Want to put on muscle? Want to cleanse your body? Want to sleep better? Want to have more energy? These are just a handful of benefits which can be achieved when a person switches to an IF style of eating. Simon Keller is a nutritionist who specializes in all forms of human physiology and peak performance. However, it wasn't until leaving university life and entering into the "real world" did he start to understand how these theoretical topics worked in a practical sense - through 10 years of training and consulting clients within his health and wellness facility in London. 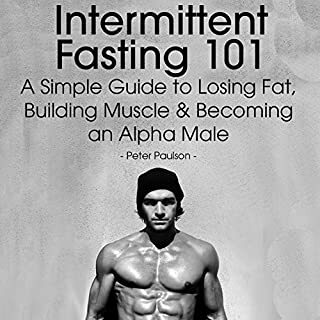 Everything you need to know about an intermittent fasting nutritional schedule is in this book from the numerous benefits this dieting strategy yields, backed up by science and research. As well as information regarding how to get the most out of IF for fat loss and muscle growth and learning how incorporate it into your daily schedule. 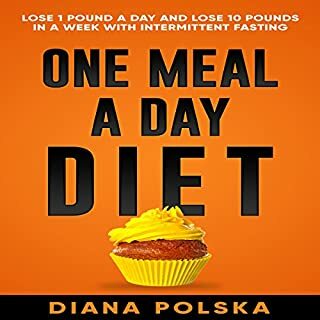 I've listened to this book a few times - a quick listen to give helpful information on intermittent fasting to help decide if it something you want to try. Mark Thomas does a wonderful job on the narration. A great introduction to fasting - or a nice rehash for those looking to get back into it or try different methods of fasting for different results. great breakdown of intermittent fasting but could use a bit more information. I thought this book was great! It was quick and easy to understand. Lots of good information for an IF beginner. I highly recommend this book. Here is an inescapable fact: although everyone's body is different, we all function on the same fundamental level. 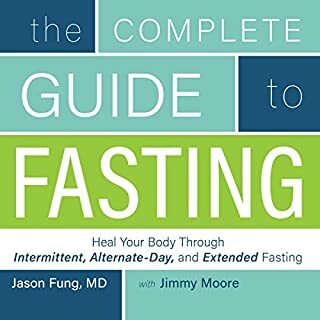 This book explains in-depth the biological processes your body goes through while fasting, and how after just a short amount of time, you will begin to see the amazing physical benefits of intermittent fasting. One of the most common reasons people often give up so quickly on diets and meal plans is because they feel like they are missing out on enjoying the foods they love and frequently experience hunger and cravings. Intermittent fasting is different because it lets you eat delicious food while still losing weight; plus, you will never feel hungry!